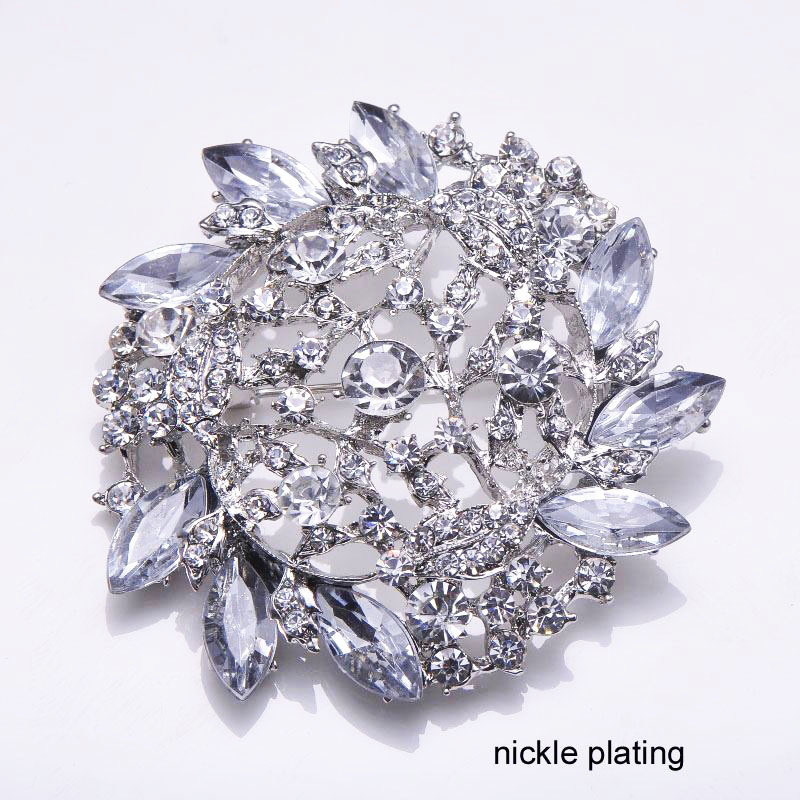 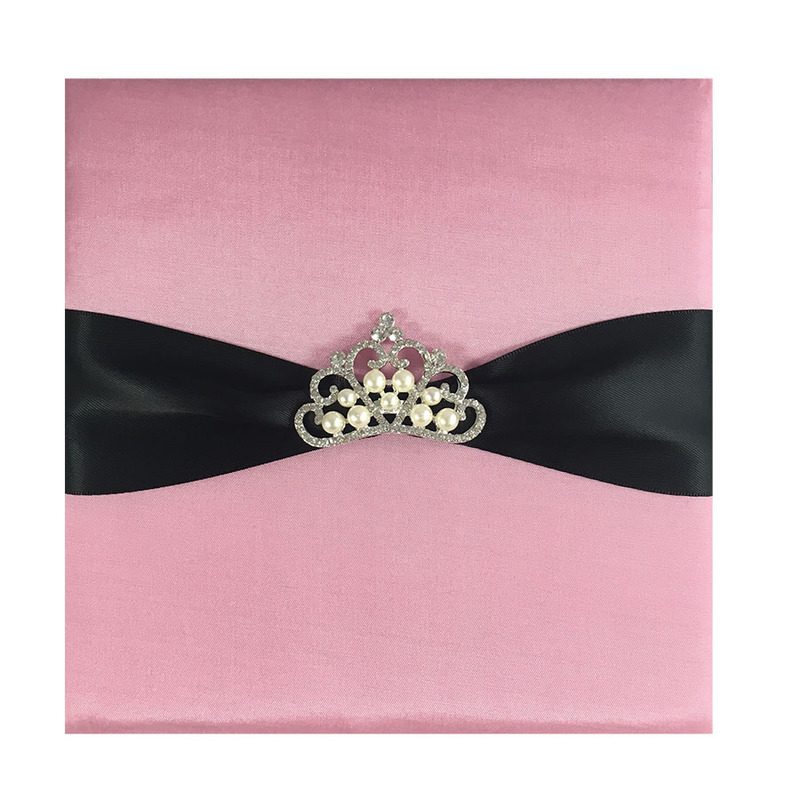 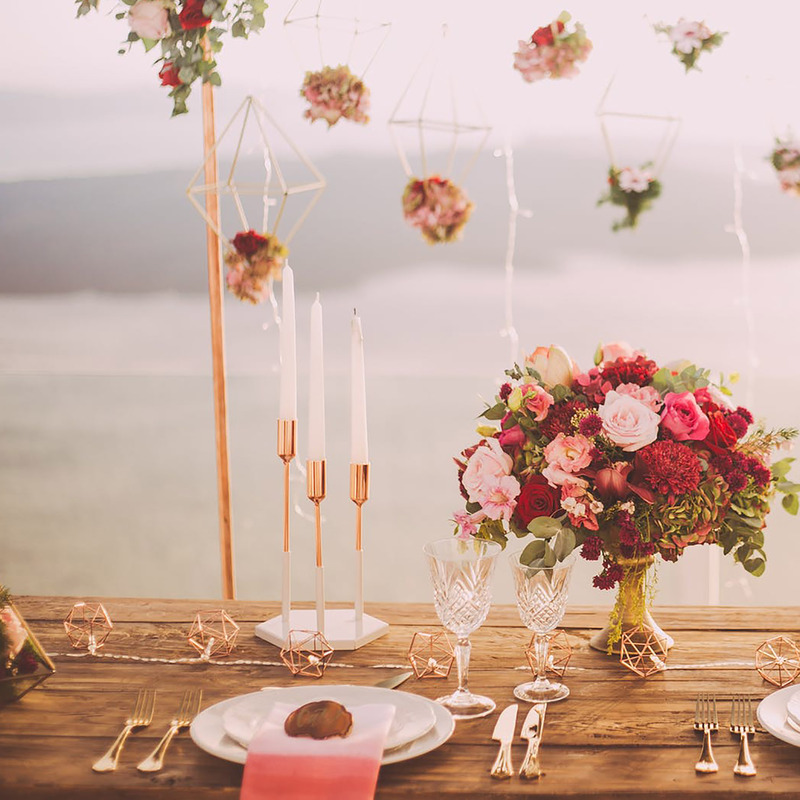 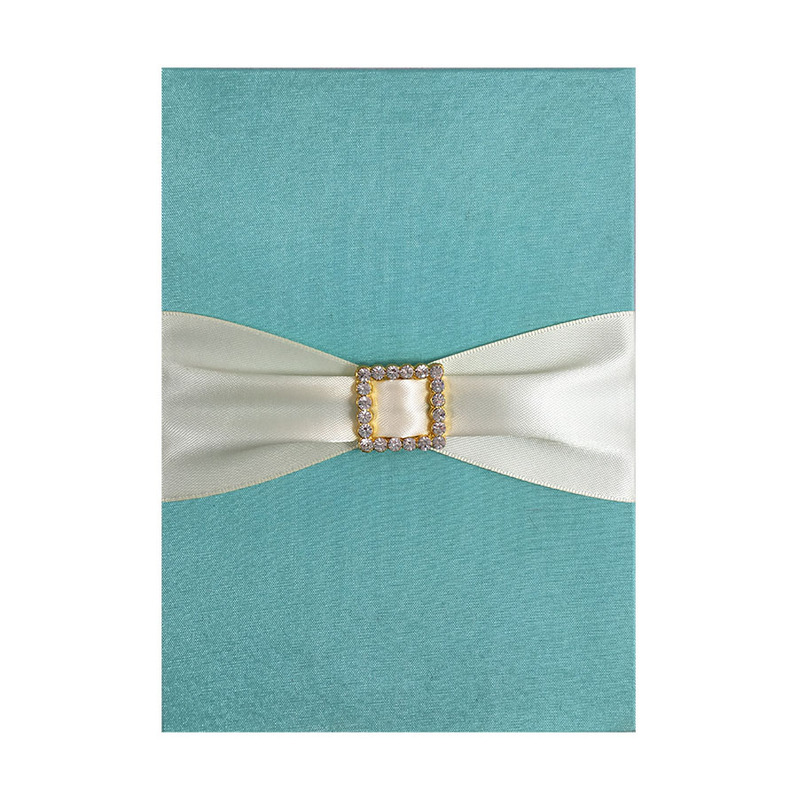 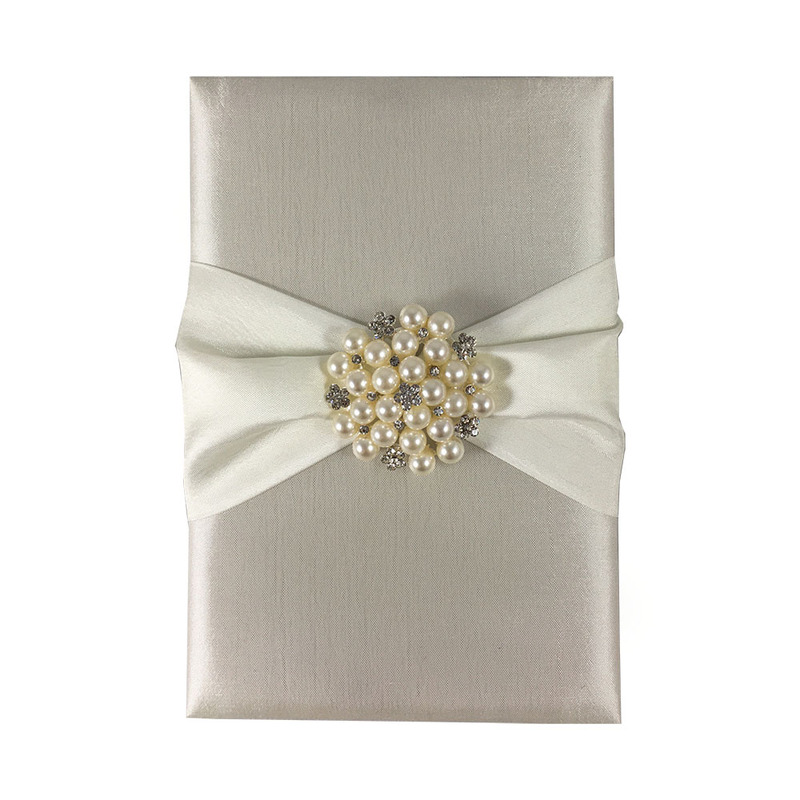 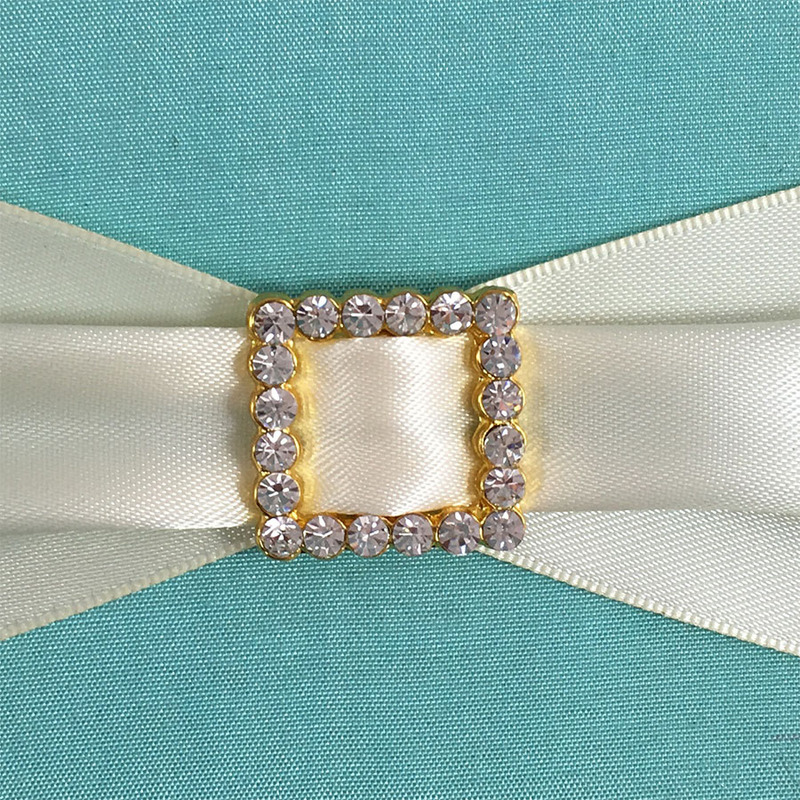 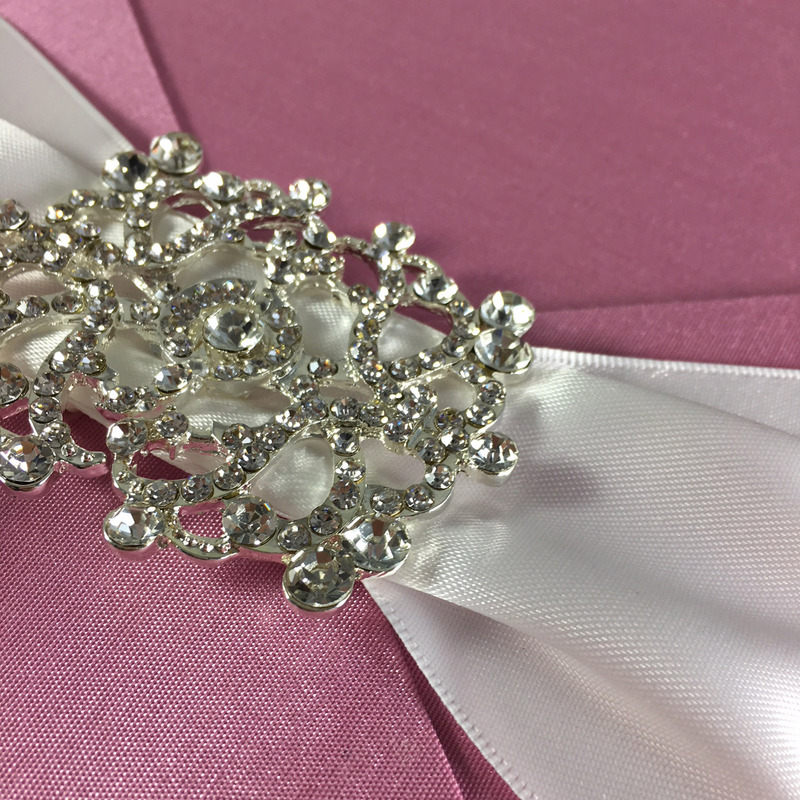 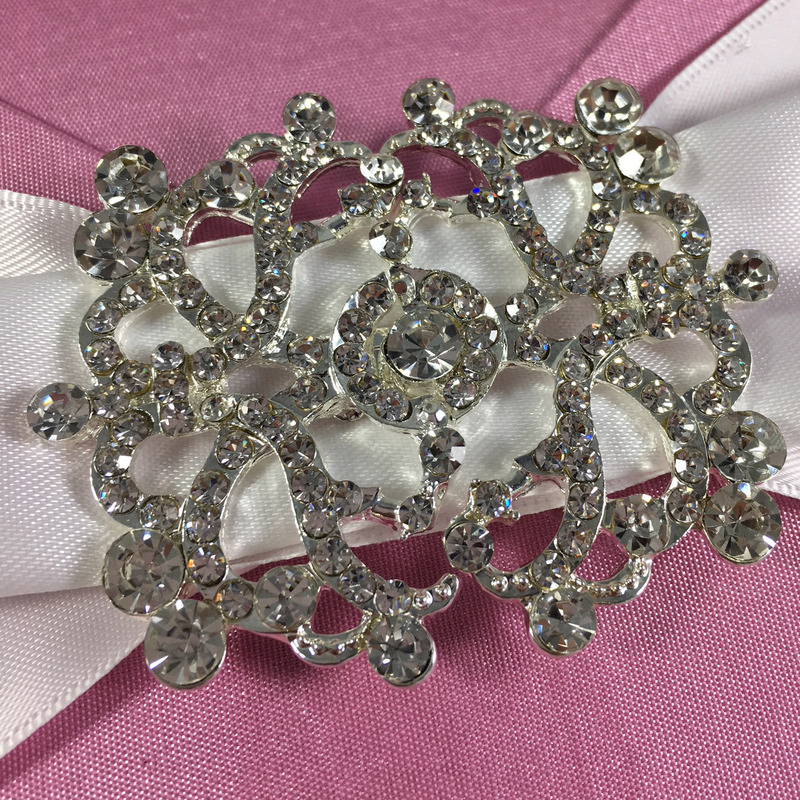 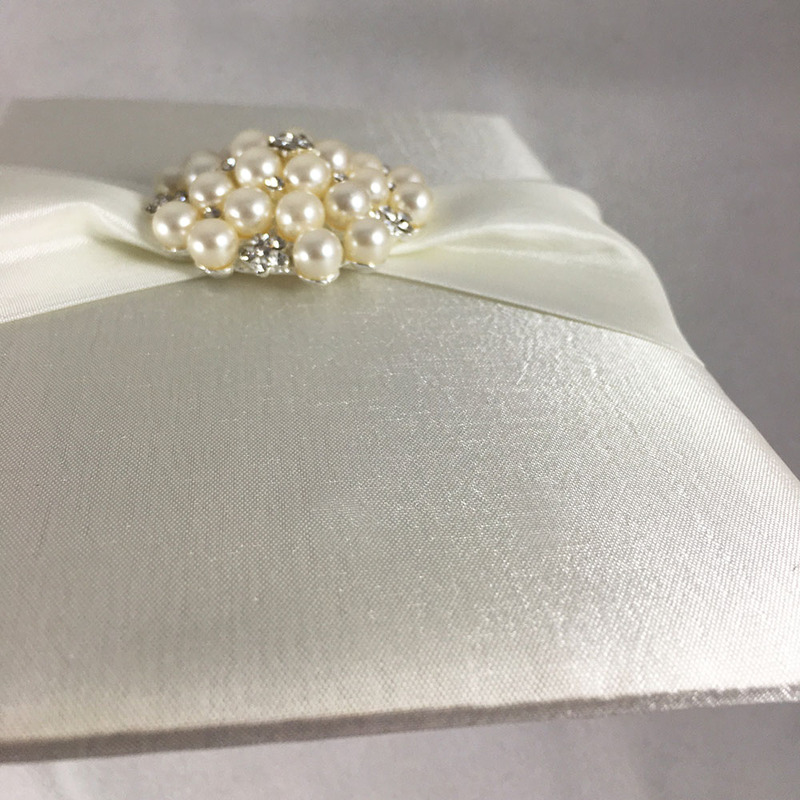 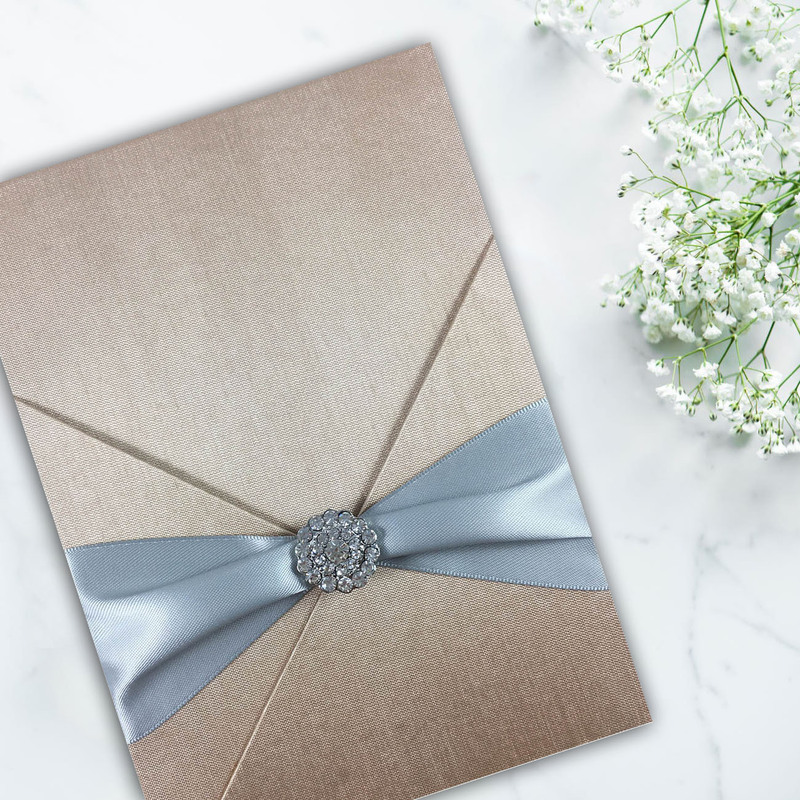 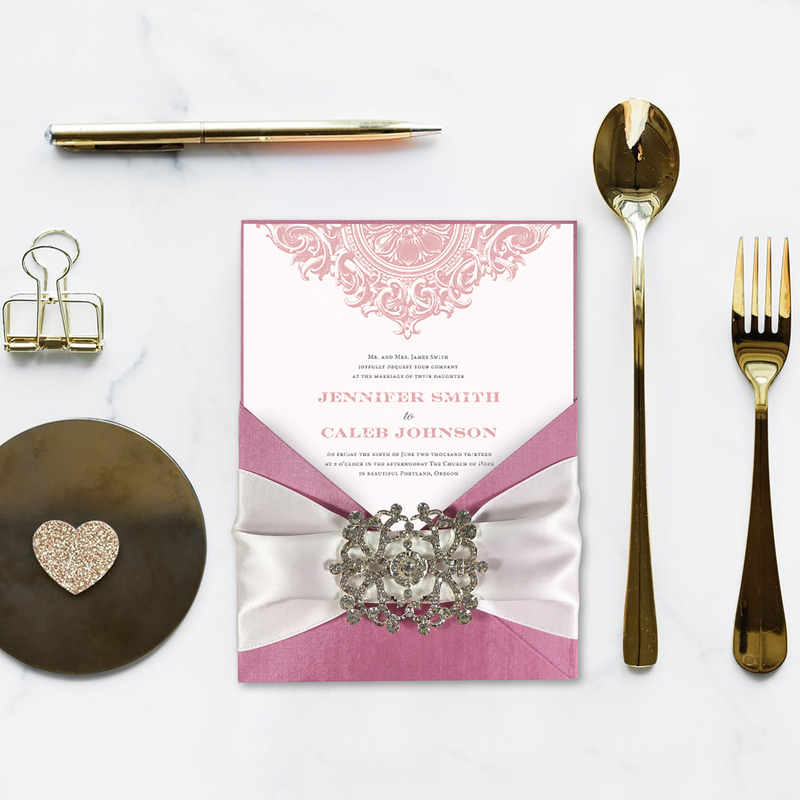 This brooch embellished silk card is perfect for wedding or event tables and also commonly used for wedding invitation sets. 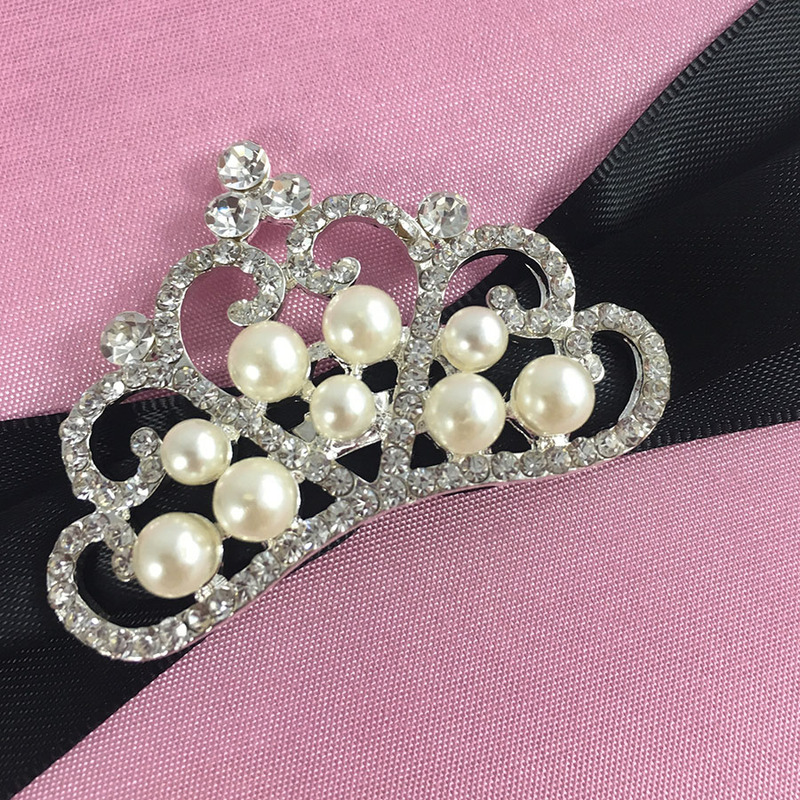 Clients can order this style in customized color and size that suits their event theme. 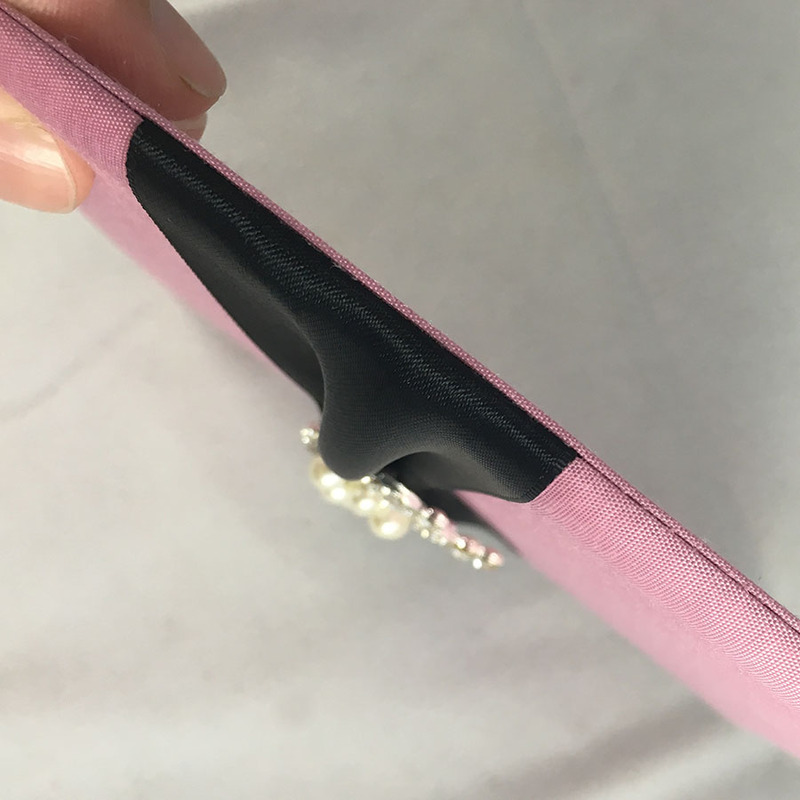 The size of this style can be changed to custom size as well. 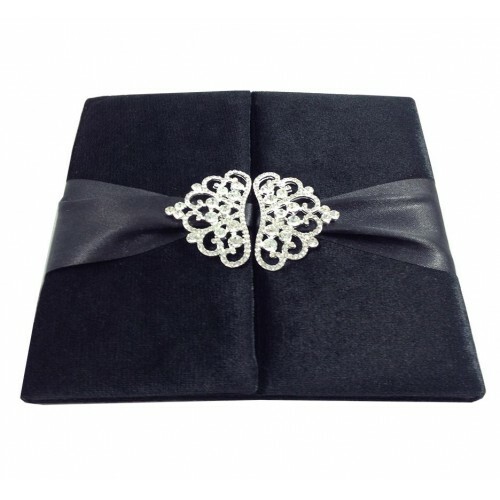 This card holder has a men suit like pocket with three inches double faced satin ribbon and large crystal brooch. 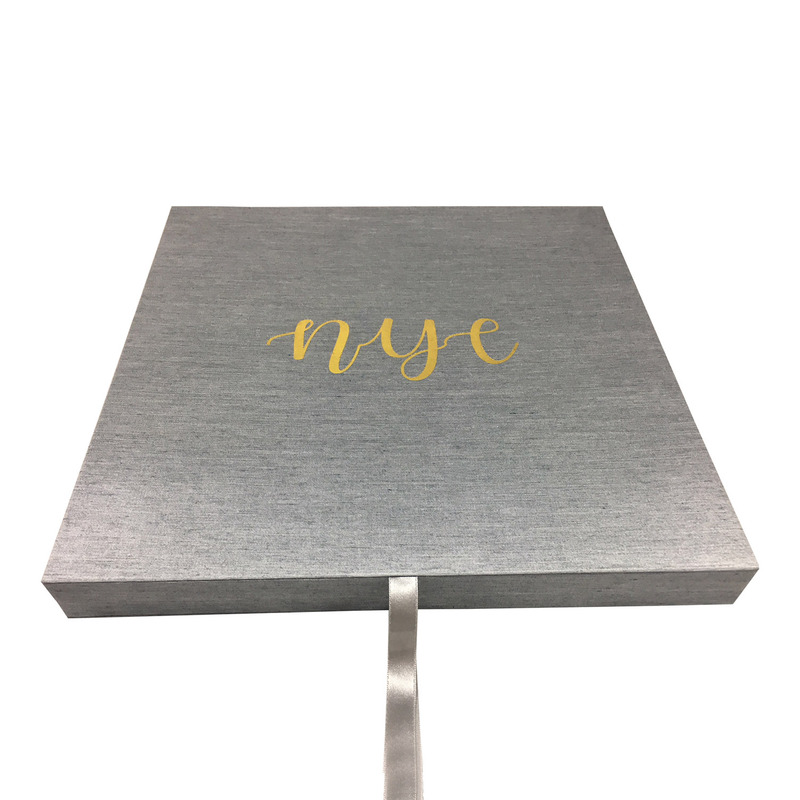 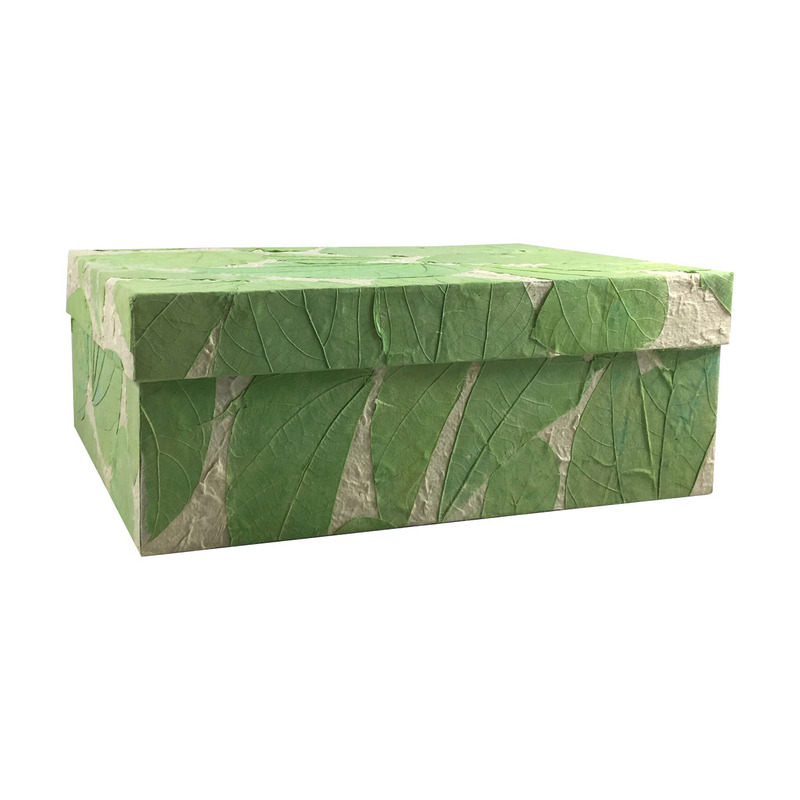 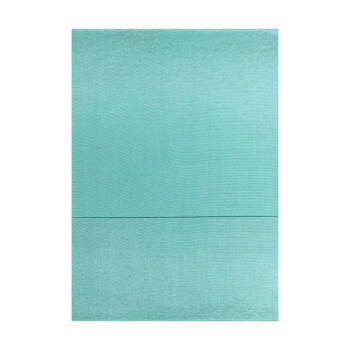 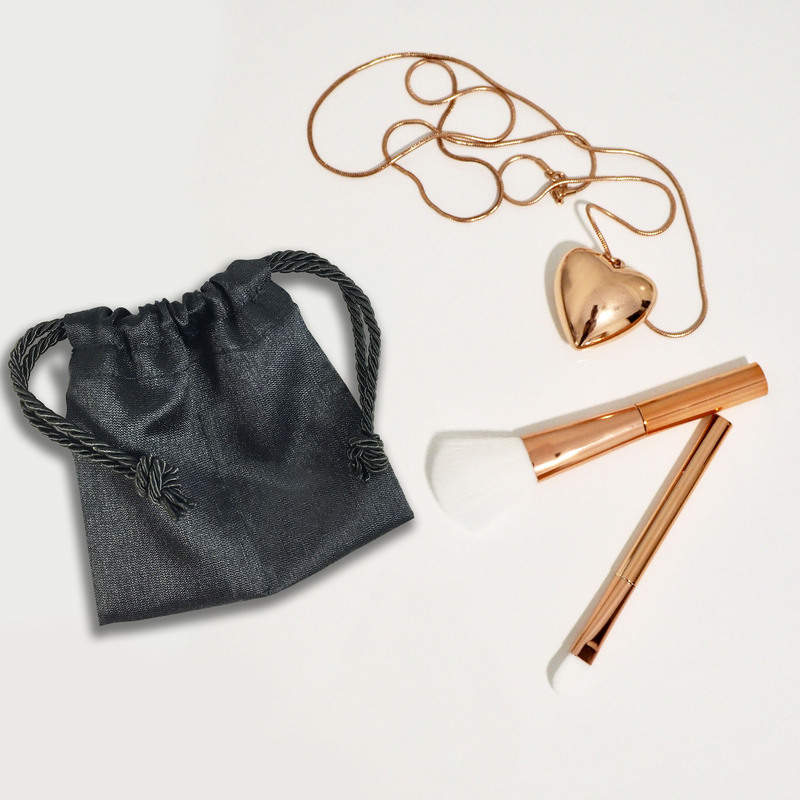 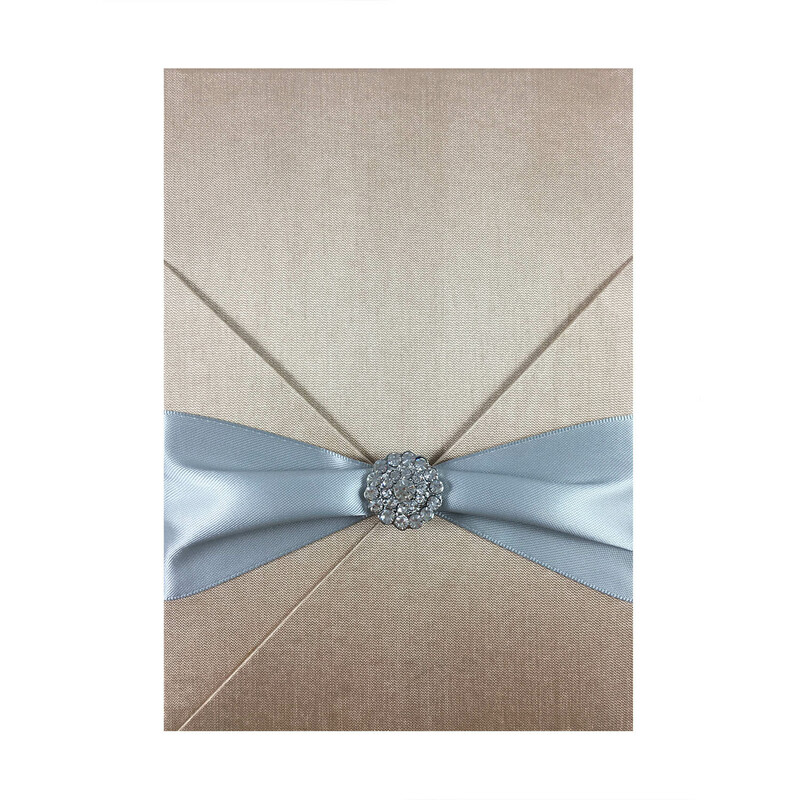 We can custom make luxury silk or paper mailing boxes for this type of invitation as well. 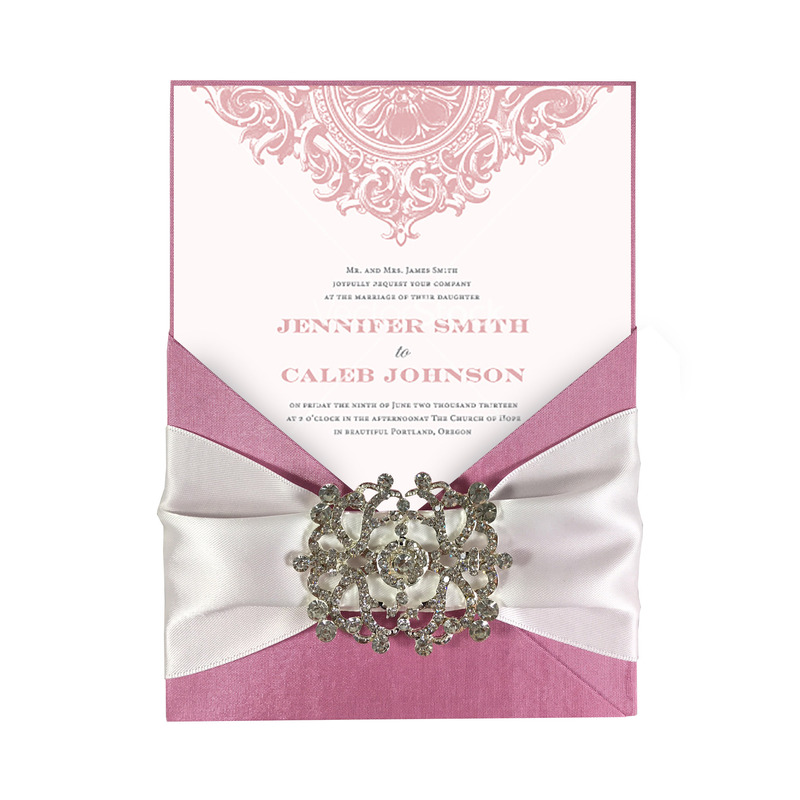 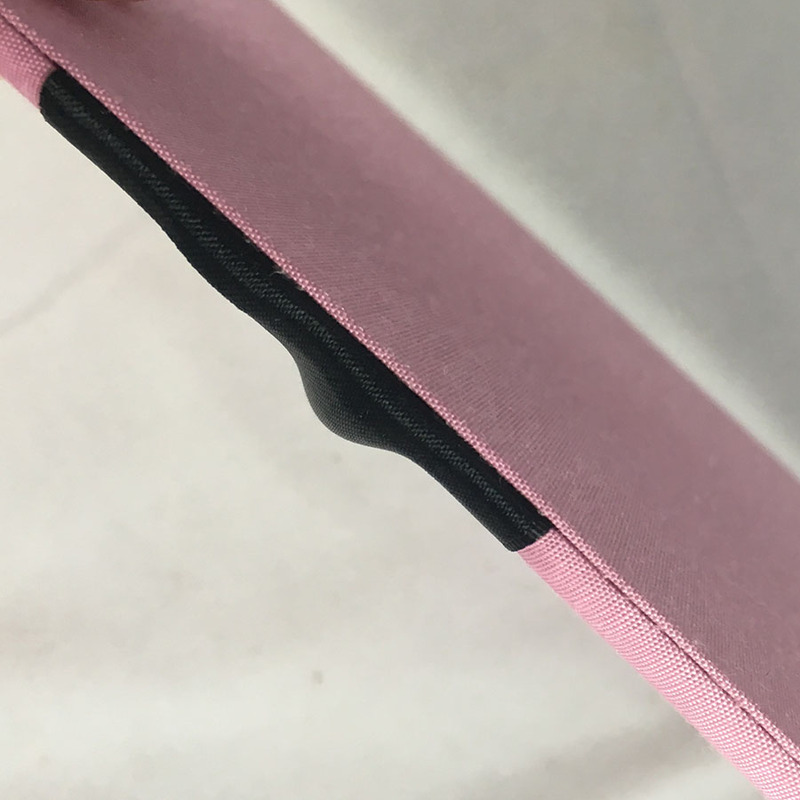 Product does not include the paper invitation card shown.